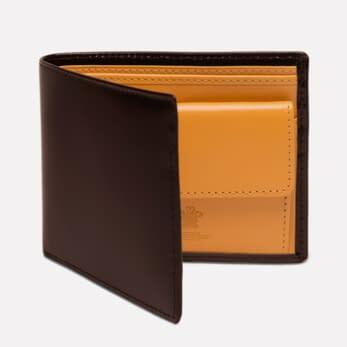 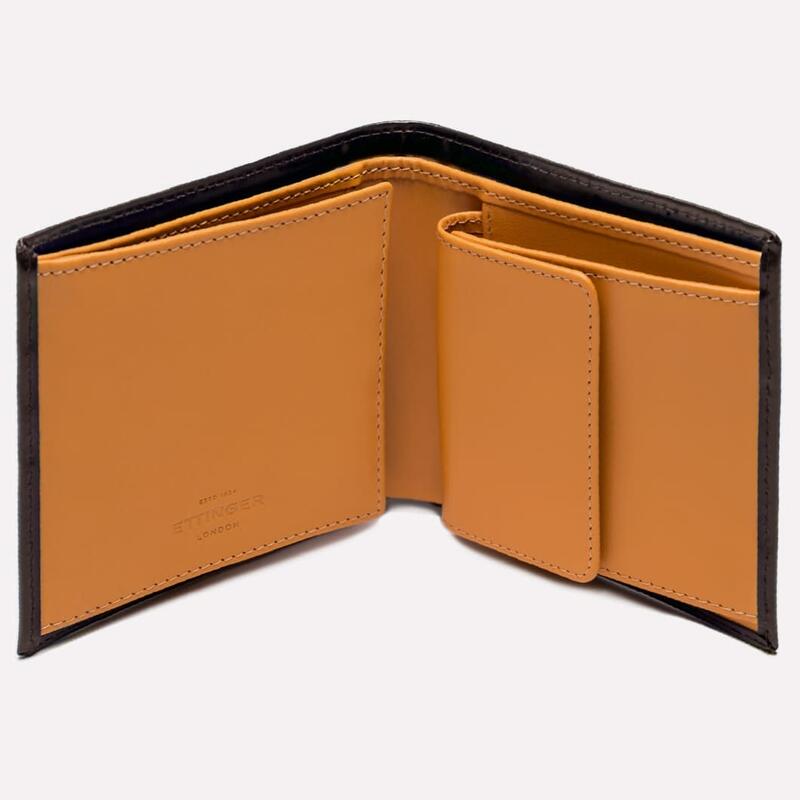 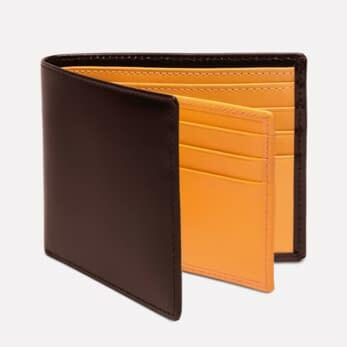 A truly classic wallet, this billfold is made using smooth traditional English bridle leather in Nut on the outside and panel hide in Ettinger's iconic London Tan on the inside. 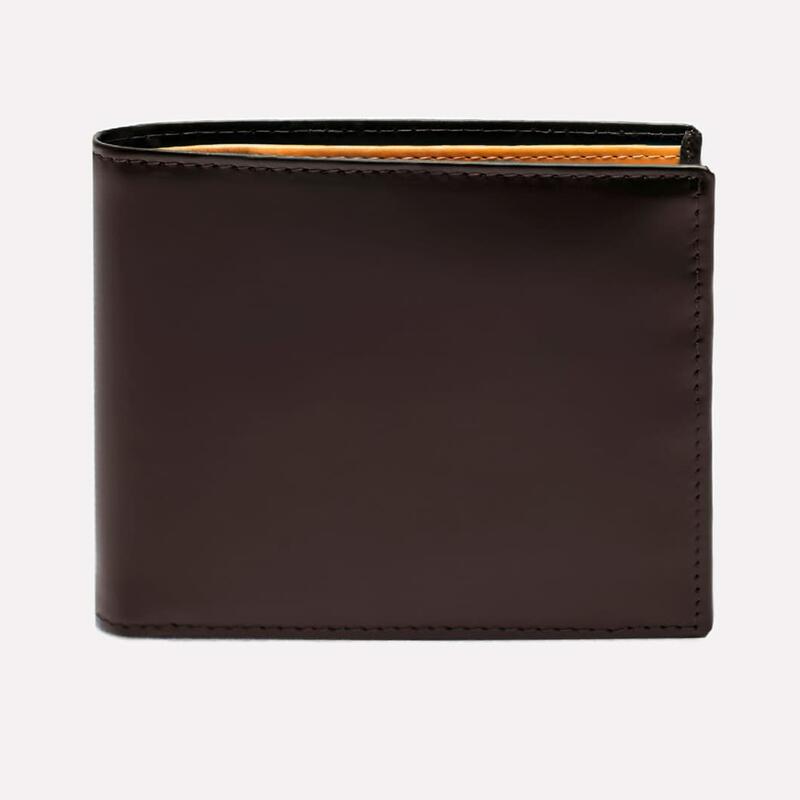 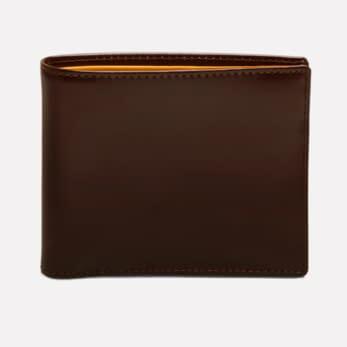 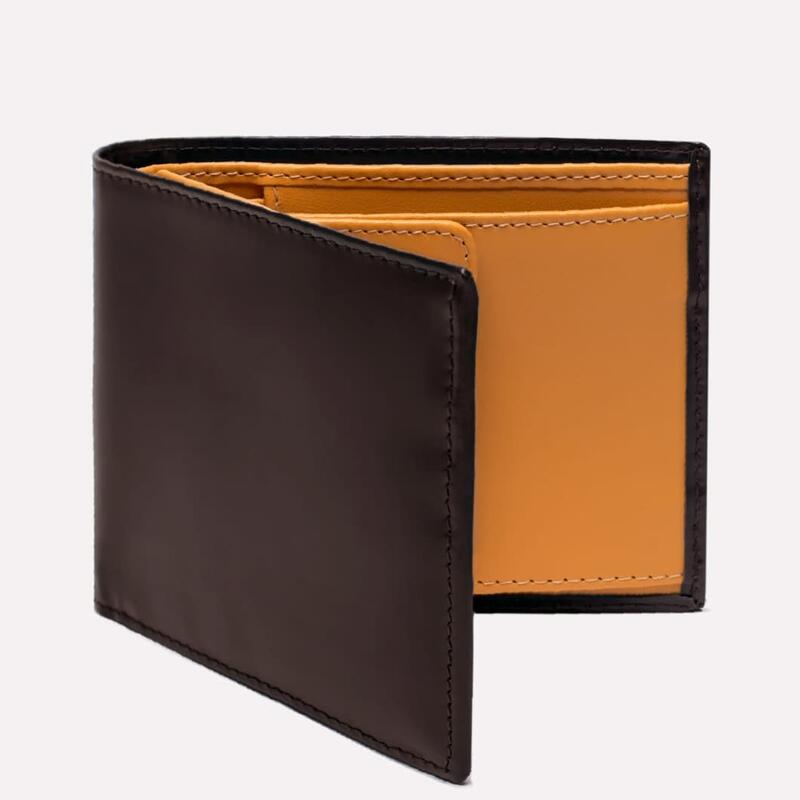 The wallet offers plenty of space for cards, notes and change, keeping everything you need organised and in one place. 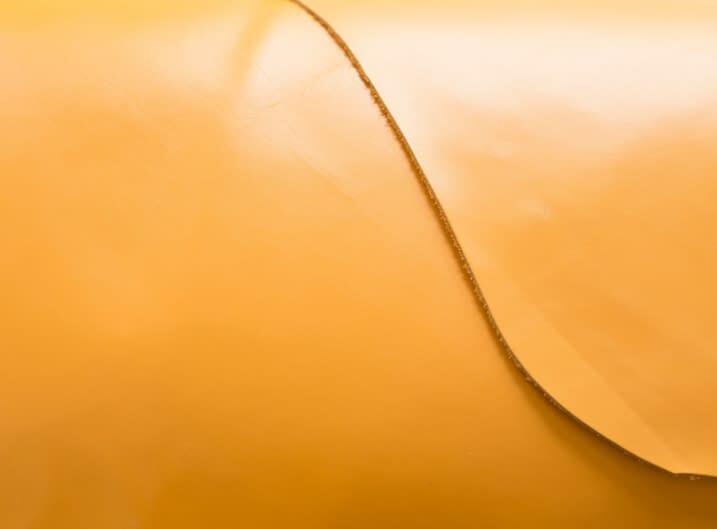 The bridle leather ages beautifully over time acquiring unique patina. 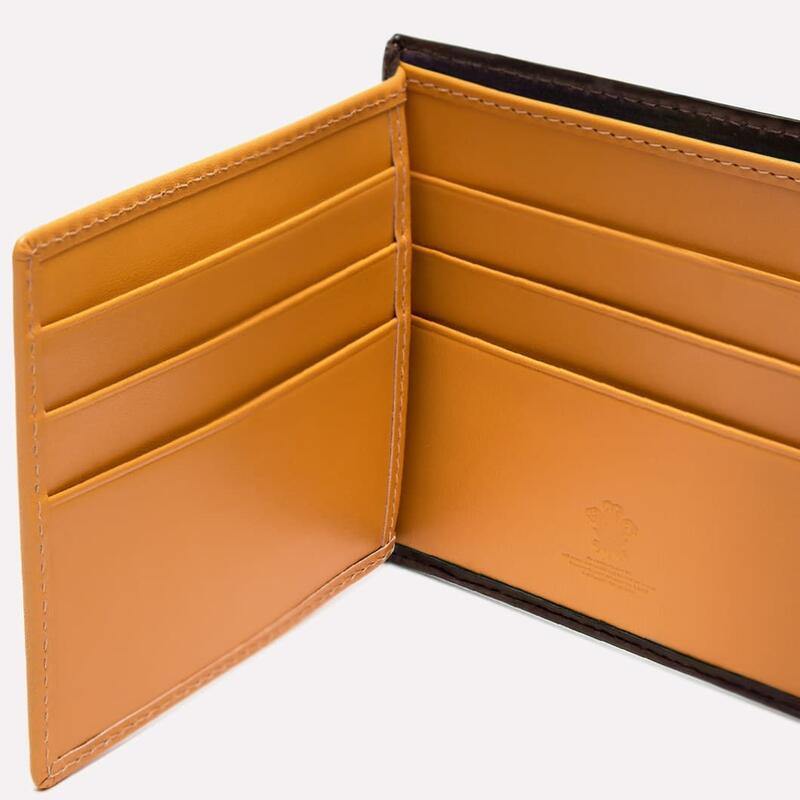 The London Tan panel hide inside does darken in time and may bruise if put under pressure. 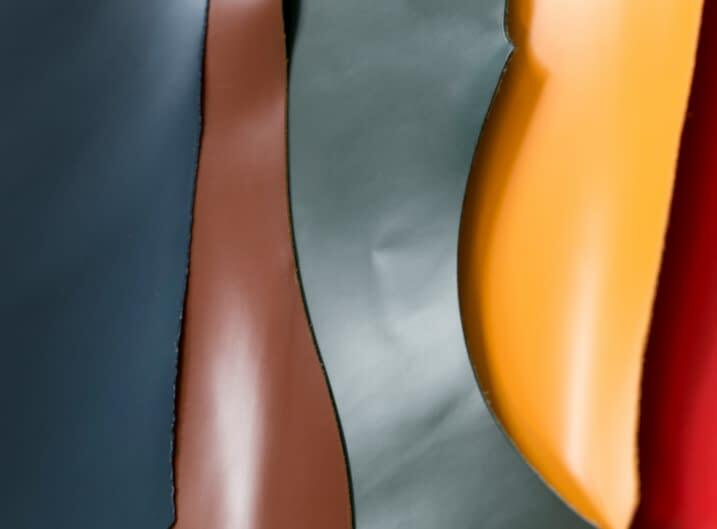 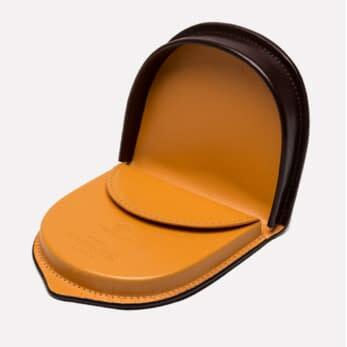 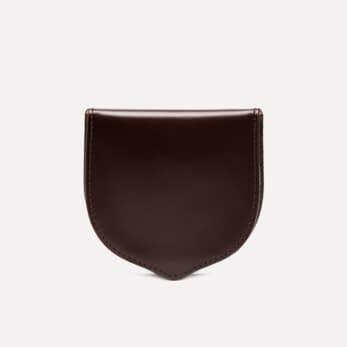 We always advise against keeping the Bridle Hide products in trouser pockets, where the pressure and humid conditions may deteriorate the leather prematurely, especially if never cleaned or polished.